How to get the best out of a Facial. a healthy daily routine, lifestyle. Whether it be a simple cleanser & moisturizer or a special serum or skin cream the choice is yours. Its also so important to exercise, stay hydrated and receive frequent skincare/massage treatments. Why it is important to maintain a healthy lifestyle for beautiful skin. Sickness and disease thrive on acidic environments.Whatever needs to leave the body must be excreted somehow. Unfortunately some bodies ways are through the pores, hence acne. Keeping your insides alkaline helps keep your outside looking healthy as well. Being sure to avoid sugar, gluten, wheat. Leafy greens, fruits and all other alkaline foods are great choices for glowing skin! Using organic, paraben free products helps too! Be sure to check out each facial and see which is best for you…not sure just ask and a facial can be specifically suited to fit your skin, after all we’re not all the same! Purchase your SkinCare Products right on the website or call and pickup! Orders of 3 or more in store purchase receive 10% discount. This routine is to be performed twice per day, at morning and at night. Select a cleanser suited to your skin type. Place a small amount into your hands and emulsify with lukewarm water. Apply to the face in a circular motion, covering the entire face for 30 seconds. Remove from the skin while gently scrubbing with a damp face cloth or sponge and rinse thoroughly, alternating with warm and cold water. Then pat dry with a soft towel. This action will remove dirt, pollution and impurities from the skin’s surface and prepare it for the next step. Apply one to two sprays of toner, suited to your skin type, over the entire face and leave on. Toners are important to balance the natural pH of your skin and to infuse your skin with natural vitamins and minerals. Your skin will feel rejuvenated with each spray with the added aromatherapy benefit contained in the real fruits and herbs. Treat specific skin care concerns, such as lack of firmness, acne or rosacea, with an active serum, booster-serum, concentrate or oil. Apply your treatment after toner in a thin layer and leave on. Hydrate and soften the skin with a moisturizer suited to your skin type. Even oily skins need a light moisturizer to keep skin soft and supple. Apply a layer of moisturizer over the entire face and neck area and leave on. For a lighter application, emulsify a small amount of moisturizer in your hand with a few drops of water. For extra hydration, apply a thicker layer in dry areas. Eye Care – Using a gentle tapping motion, apply a small amount of eye cream to the contour area around the eyes, taking care not to tug the delicate skin around the eye area. Apply Sun Defense Minerals or a daily SPF moisturizer to finish and protect the skin. Emulsify a small amount of body wash with warm water and apply in a circular motion to the entire body. Rinse thoroughly. Apply a layer of the sugar scrub to damp skin, preferably during the last part of a shower or bath. Massage in a circular motion on legs, hands, arms, elbows and any part of the body that needs smoothing. Rinse well with warm water and pat dry. Follow by massaging in an appropriate body lotion according for your to skin type, massage into the epidermis and leave on. One to three times per week to replace either the morning or evening daily routine. Select a cleanser suited to your skin type. Place a small amount of cleanser into your hands and emulsify with lukewarm water. Apply to the face in a circular motion, covering the entire face for 30 seconds. Remove from the skin while gently scrubbing with a damp face cloth or sponge and rinse thoroughly, alternating with warm and cold water. Pat dry with a soft towel. This action will remove dirt, pollution and impurities from the skin’s surface and prepare it for the next step. It is important to exfoliate your skin at least once or twice per week to help remove dead skin cells and dirt that can dull your complexion. To exfoliate, first cleanse the skin as in Step 1, then apply the exfoliant suited to your skin type and allow to dry for 5–10 minutes. Use a face cloth moistened with lukewarm water to gently scrub off the dried exfoliant masque using a circular motion while scrubbing. Rinse thoroughly with clean water and proceed to Step 3. Find a masque suited to your skin type or to the condition that you are treating. Emulsify a small amount of the masque in your hand with a few drops of water and apply evenly over the entire face and neck areas as well as the décolleté, if desired. Allow the masque to dry for 5–10 minutes. Use a face cloth or sponge moistened with lukewarm water to gently scrub off the masque using a circular motion. Rinse thoroughly with clear water, pat skin dry, and proceed to Step 4. Apply one to two sprays of toner, suited to your skin type, over the entire face and leave on. Toners are important to balance the natural pH of your skin and to infuse your skin with natural vitamins and minerals. Your skin will feel rejuvenated with each spray with the added benefit of aromatherapy contained in of the real fruits and herbs. Treat specific skin care concerns, such as lack of firmness, acne or rosacea, with an active serum, booster-serum, concentrate or oil. Although optional, once you experience the clarifying, hydrating and age-defying benefits of this step you will want to continue to include this essential step in your daily routine. Apply your treatment after toner in a thin layer and leave on. Emulsify a small amount of body wash with warm water and apply in a circular motion to the body. Rinse thoroughly. 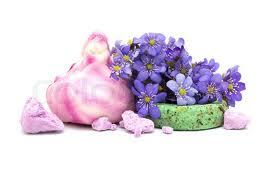 Apply a layer of the sugar scrub to damp skin, preferably during the last part of a shower or bath. Massage in a circular motion on legs, hands, arms, elbows and any part of the body that needs smoothing. Rinse well with warm water and pat dry. Follow by massaging in an appropriate body lotion for your skin type and leave on. You sign up for 3 months for only $225 and pay only $75 per Session and can even use towards a massage if you prefer. You may cancel at any time after the 3 months…but why would you want to ! Purchase your SkinCare Products on our Facebook page: Click here to like us on Facebook! Aria proudly offers Eminence Organic SkinCare Line. 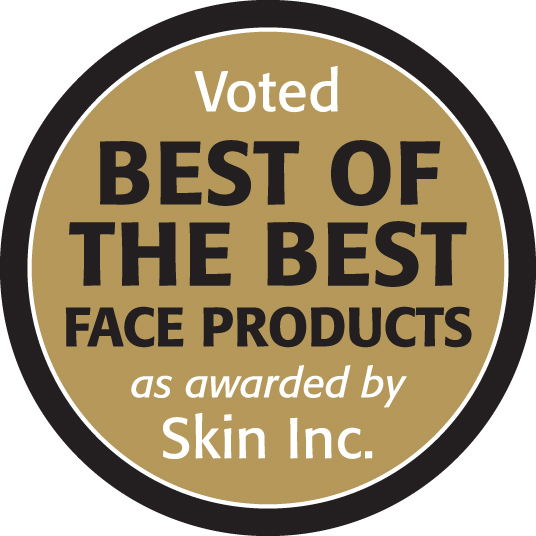 View the Video below to see why it is rated top skincare line year after year! Aria also offers Intraceuticals, another top end line used by stars, especially on special events!